If Picross is crack, then this is heroin. Not that I know what kind of analogy I'm trying to make here, but the point is Slitherlink is yet another puzzle game I seem to have become hooked on. You're faced again with a grid, although this time numbers ranging from 0 to 3 have been apparently randomly scattered across the field. The aim of each board is to draw a single red loop (a Slitherlink, if you will) using the edges of the squares on the grid, making sure any numbered squares have that many edges used. Sounds simple enough, right? Well the devil is in the level designs; numbers are placed so that there are very few solutions to each board - if there are more than one at all. Although the interface makes good use of the touchscreen, I didn't find it as slick as Picross's. Still, since writing yesterday's review of the latter, I've played this one more, so at the very least the controls don't matter much. 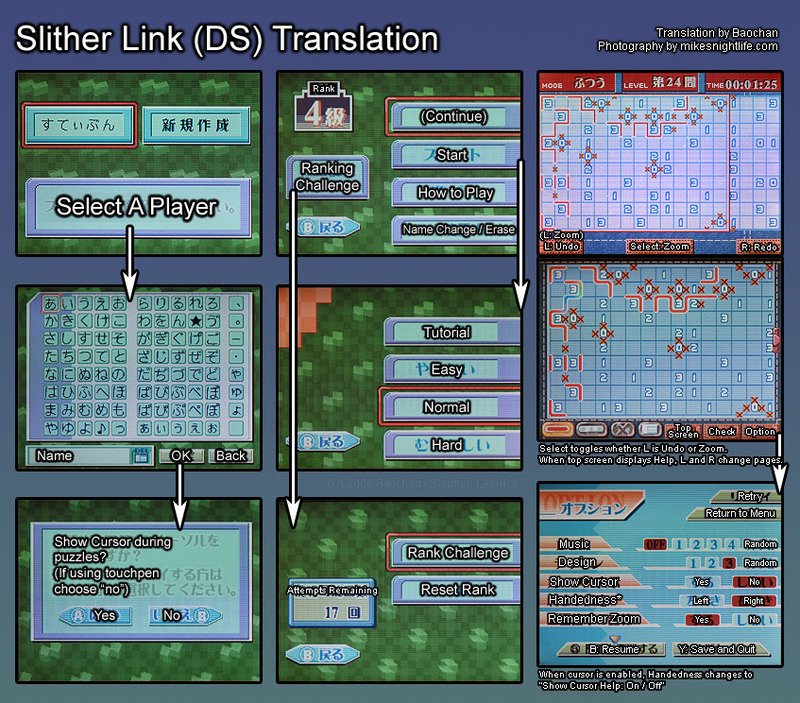 For those who don't want to learn Japanese, there's a handy translation reference here. I'll say it again: Arrgh.